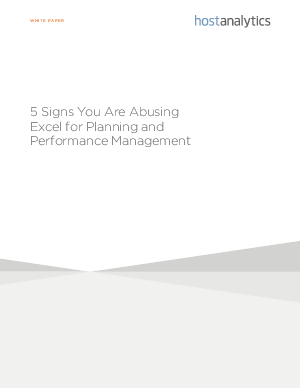 Best-in-class firms have realized that budgeting, planning and reporting can't ALL be done with Excel. And running a successful business starts with effective planning and performance management, and the data you generate during these critical processes is among the most important and sensitive in your organization. A miscalculation, oversight, or a security breach could be financially devastating.